Among different types of lubricants oils or lube oils, the two most common types are mineral oil and synthetic oil. Where the mineral oils are made from the naturally produced petroleum or crude oil, the synthetic oils are prepared from polyalphaolefins that is actually hydrocarbon-based polyglycols or ester oil. Among the different components derived from the raw petroleum, lubricant oil is one of them. Due to decomposition of plants and animals within the earth for more than millions of years and several geographical and climatic changes, petroleum deposits are formed. As the decomposition rate of organic materials varies from one place to another place, percentage of hydrocarbons present in the crude oil also vary in different sites. After the transportation of the crude oil from the oil well to the refinery through the tanker ship and pipeline, the oil needs to undergo through the sedimentation process. This process is essential to remove any solid contaminants and water present in the crude oil. This process involves the pumping of the crude oil into a large holding tank where the water and solid contaminants are separated and settled out from the oil. In the next step, the crude oil is placed on heat about 371 degrees Celsius or 700 degrees Fahrenheit when it breaks down into high vapor and liquid mixture. This mixture is pumped into two fractionating towers where the hot hydrocarbon vapor drifts upward. After cooling of this mixture, it condenses and then it is collected in different trays fitted at different places in the towers. During the process, approximately 80% of the crude oil is vaporized. Then the remaining 20% of crude oil is reheated and then pumped into another tower. Here the boiling point of the residual oil is lowered under vacuum pressure where the heavier compounds like tar as well as some inorganic compounds are left for further processing. After the process of removal surplus compounds from the crude oil, the lubricating oil is produced that is collected in two fractionating towers. This oil passes through numerous ultrafine filters in order to remove the impurities. Contaminants like aromatics can affect the thickness of lube oil, therefore it needs to go through a process called solvent extraction. As aromatics are soluble in solvent, this solvent extraction is possible for the lube oil. 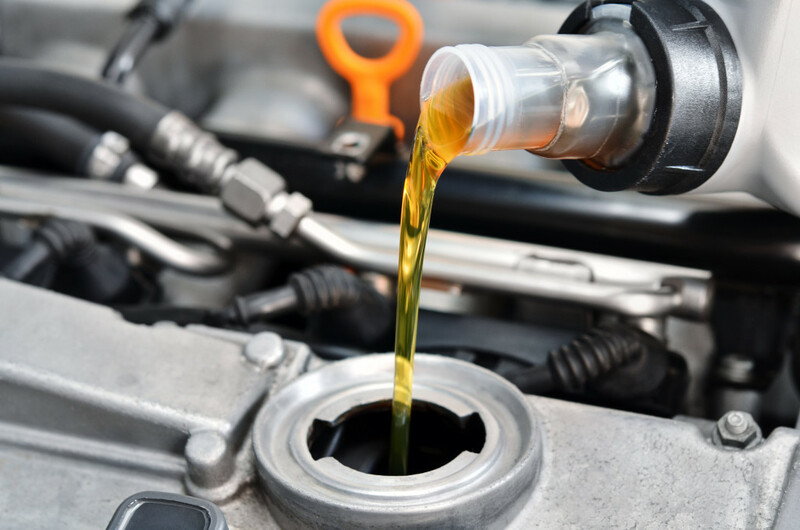 Now based on the quality of the filtered lube oil, chemicals known as additives are mixed with it in order to get the desired physical characteristics. During this phase, the lubricating oil needs to go through different quality control tests. These tests ensure the color, thickness, specific gravity, and fire points of the lube oil. Once the oil meets all the required standard, it is sent for packaging and distribution. This entry was posted in General and tagged fuel oil and lubricants, How Lubricating Oil Is Prepared, lubricants oil companies, lubricating oil composition, oil and lubricants industry in india, oil lubricants companies, oil lubricants companies india.